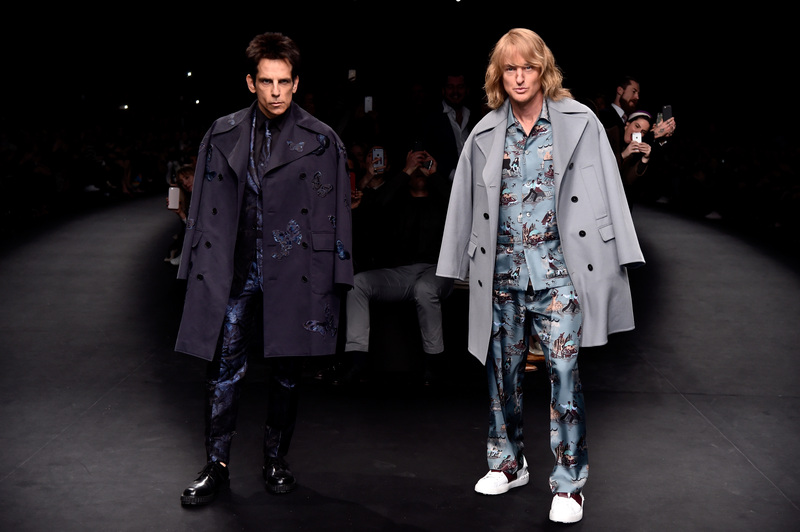 I'm still not over the fact that Zoolander and Hansel walked the Valentino runway at Paris Fashion Week (and I'm especially not over this Zoolander-hijacked Vine, which is pure gold). You know what makes it even more of a landmark event? The fact that mere days earlier, everyone's favorite denizen of Westeros Brienne of Tarth appeared in the Vivienne Westwood show. Well, to be fair, it was actually her real-life counterpart, Gwendoline Christie, who took the stage (she didn't walk in character the way Ben Stiller and Owen Wilson did). But either way, can you say "Best Paris Fashion Week ever?" The whole smorgasbord of wonderfulness got me thinking: There are tons of fictional characters out there who would look (almost) as fierce as Zoolander, Hansel and Brienne (though their combined fierceness is an awe-inspiring thing). Who would you nominate? There are those who just have that natural strut, those that have a particularly groundbreaking style, and those who'd just look darn fabulous making their way down a runway — I mean, there are stone cold badass fashion plates like Princess Leia, and then on the other side of the spectrum, you've got fashion innovators like Luna Lovegood. Who else should make the cut? Read on to find out! Aside from Brienne, it was tough to choose just one Game of Thrones lady: There's Daenerys and her amazing assortment of halters, then there's Sansa with her epic makeover, and Arya's new Season 5 digs are quite fabulous as well... but when it really comes down to it, Margaery's the one whose costumes are based on Alexander McQueen's designs, so she might have the most fashion street cred. Speaking of fashion street cred, Amy Pond was an actual model (for about a hot second... somewhere between being a kissogram and a travel writer), so she should definitely hit Paris Fashion Week! Elsa designed her own dress in about half a second, using only her brainpower, magic and of course, ice. Besides, she's a natural fit for Elie Saab — her iconic dress looks like it came right from one of their recent couture shows. He can deliver Blue Steel (or as he calls it, "The Smolder") almost as well as Derek Zoolander, so why not? I haven't actually seen Fan Bingbing as Wu Zeitan in The Empress of China, but judging by all of the gifsets I've seen floating around Tumblr, her fashion game is pretty darn awe-inspiring. I mean, check out that headdress! She's a fashion risk-taker/pioneer if ever there was one. She'd look especially fetching in Rodarte's Death Star dress, IMHO. Girl makes her own radish earrings, butterbeer cork necklaces, and enchanted lion headdresses: Give her a fashion contract, stat! I can think of no one more qualified to stun on the Paris runways than Lisa Carol Freemont, Grace Kelly's iconic character from Rear Window. After all, she even manages to look this fashionable while catching murderers! Wouldn't all of these characters (or even just one of them!) make PFW even more awesome than usual? Fingers crossed for next year — because post-Valentino/Zoolander, who knows what could happen.